WELCOME TO ELITISM6.COM: Happy Birthday To CEO Gravitygist, Our Man Of Destiny. Happy Birthday To CEO Gravitygist, Our Man Of Destiny. Today marks the golden age anniversary of Mr. Agba Isaac, the CEO Gravity gist. A blogger, graphics designer and leadership consultant. He is a passionate, dedicated and goal driven fellow who loves public participation, a fresh graduate from the popular Federal University of technology, Owerri (FUTO). We celebrate your journey round the clock today Nov. 28. 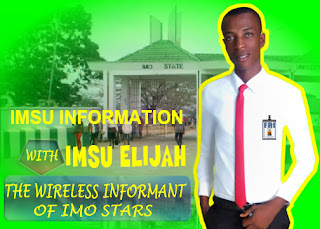 From all of us at Imsu Star FM, star newspaper, Bright Ahamefula, Sawz Blaze, Okafor Darlinton, Chigozie Okala, Imsu Elijah and host of others, we wish you an amazing day and many great things to come. Have a nice day.